Are we really aware of the extent of God's bounty? How much has God got in store for us, and how can we receive his gifts? This is a book that inspires, encourages and exhorts the reader to no longer be content with some, but to appropriate and possess all the abundant provision of God. It exposes some of the lies we have believed, regarding our right to joyfully live in the true wealth found in Jesus. 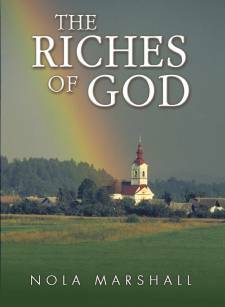 The Riches of God is an invaluable handbook for the Christian life. Each page of this book is packed with solid Food. As I read, my hunger is increased and draws me on to the next page. This book is a refreshing drink of living water. It is full of the Spirit of Life to sustain the weary traveller on the road of life.